Meeting Designer Anna PS | Life, Sport and Diabetes - An everyday look at my life with type 1 diabetes. On my way home from Milan, I had the great pleasure of meeting my favourite pump wear clothing designer of the brand Anna PS. I've blogged and Instagrammed previously about discovering the brand whilst out in Berlin back last year, and have been wearing items such as the active tee for sport and the black vest top for fashion. To wear at night I also have the blush pink cami and boxer briefs. All of which have an integrated pocket within their design, in which to hold a pump... incredibly useful. I enjoyed wearing the Anna PS garments so much that when I was asked to become the UK ambassador for the brand, it was my pleasure to accept. Having been a fan of designer and creator Anna's considered and thoughtful design and detailing, it was so lovely that we should finally get to meet. Whilst getting to know Anna, I took the opportunity to find out more about what was behind her inspiration for starting the brand. With type 1 diabetes herself, Anna decided to start creating designs for people with diabetes when she began using an insulin pump a few years ago. Although the garments are designed to hold a whole range of diabetes devices and kit, they have a clever inner pocket that also enables the wearer to feed the tubing from the pump through discreetly. Anna told me that this type of design detail was just one of the many tried and tested elements of the items she designs. Which is also part of what makes the Scandinavian brand so special, because over 50 adults and 15 children, all with type 1, participated in design trials of the clothing to test for true wearability. But this is not the only way in which Anna works with other people with type 1 diabetes, through the brand she also supports activity camps for children with the condition. 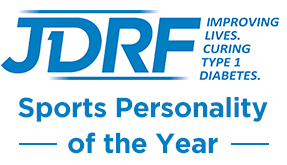 Helping them to learn more about managing their diabetes by getting sporting role models involved too, and showing having diabetes is no barrier to involvement in physical activity. It was lovely to spend time with Anna and to get to know a little bit more about the insulin pumper clothing that I enjoy wearing so much, and I hope to meet her again in the future. If you'd like to take a look at the Anna PS collection for yourself, it's available in the UK, online here.